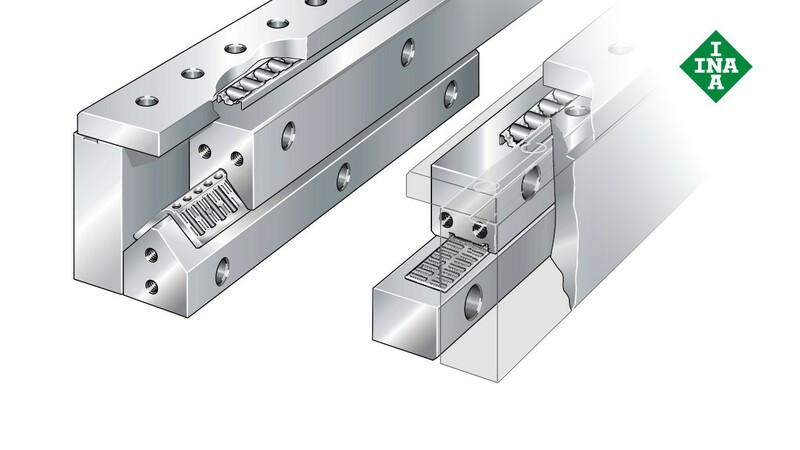 The base version comprises the M/V guideways and angled needle roller or angled cylindrical roller flat cages and is a linear locating bearing. The guideways are supplied in quality grades Q2, Q6 and Q10. The cages are made from steel or plastic. Metal cages are suitable for more demanding conditions, such as high acceleration, high temperatures and where the ends of the cage are exposed at some point in operation. Plastic cages are particularly cost effective for basic operating conditions. Accessories include end pieces for the guideway ends and scrapers to protect the raceways from being contaminated.